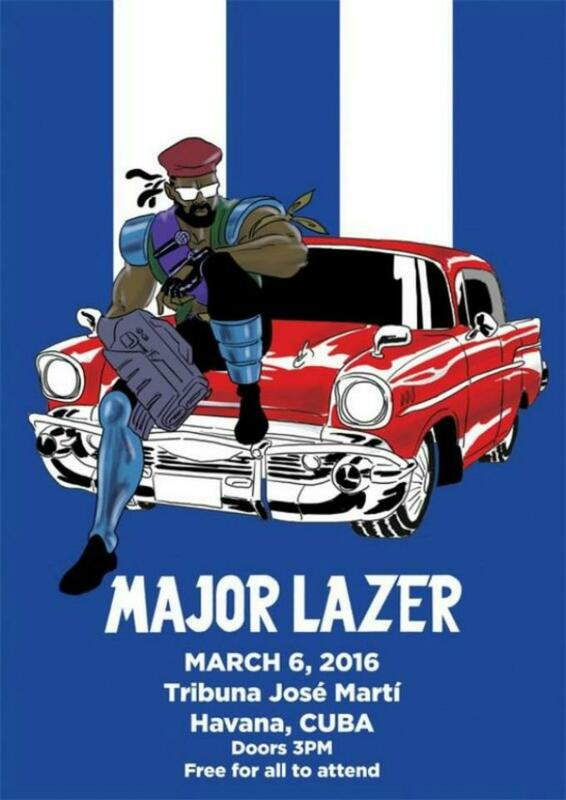 Major Lazer will head to Cuba in March to play a free show, but it&apos;s much more than that. This is a monumental undertaking for Diplo, Jillionaire, and Walshy Fire, as their performance will be the first show by a major American act to occur in the country since the U.S. and Cuba restored diplomatic ties. The free show will take place March 6 at the Tribuna José Martí and will be presented by the Musicabana Foundation. While there, Major Lazer will meet with Cuban music students and young, local DJs that will share the stage with the group. Visit here for more information. You can also catch Major Lazer on tour dates around the world, including Coachella, Sasquatch!, and Firefly festivals this spring and summer.